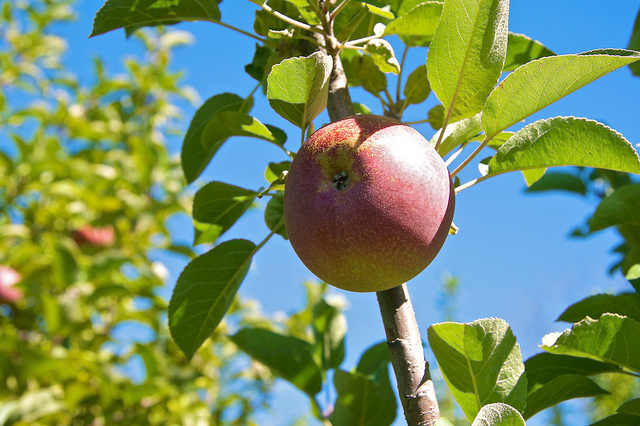 Vermont grows more than 150 varieties of apples. 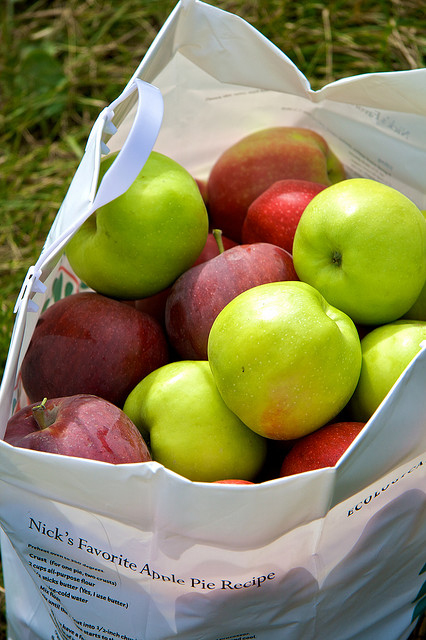 Pick-your-own apples are a popular feature - about 200,000 bushels are picked by visitors to Vermont orchards every year. 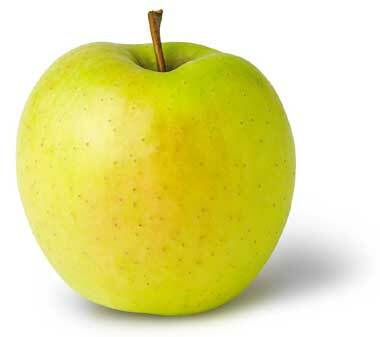 Apples have been grown in the United States since Colonial times. The only apple native to North America is the crabapple; the first varieties for eating were planted by the pilgrims at Massachusetts Bay Colony. Peter Stuyvesant planted an apple tree in his Manhattan orchard in 1647, and George Washington is said to have enjoyed pruning his apple trees. About 2.500 varieties are now grown in the United States. Apples grow in every state, and seven states have designated a variety of apple or simply "the apple" as a state symbol. The Mighty Apple; photo by Rob Friesel on Flickr (noncommercial use permitted with attribution / share alike). Golden delicious apple - photo courtesy of New York Apple Association; © New York Apple Association.